Jay did an excellent job blogging about being StarStruck and I wanted to share it with you. Also, at the end of the post I added the video we played during our service Sunday. Trust me, you don't want to skip it. Just make sure you have a tissue on hand. But what about the Starstruck moments we miss? From something as simple as the changing of the leaves, to renewed relationships, or quite moments with God, all are interactions with our Savior that should leave us Starstruck. Humanity was no different when Jesus was born. The gospel narratives describe a “star” that declared Jesus’ birth to the world. The “star” itself has been a topic of debate among astronomers since its arrival. Whether it was a comet, an asteroid, or super nova.....It was there... allowing the world the opportunity to be Starstruck. This Christmas season is a time for us as Christ followers to focus in not only on the true meaning of Christmas but also the true meaning of life. We should lead the way with our own personal story of how we were Starstruck by God, and how life was never the same. What a service we had today!!! If you live in the area of Alachua and do not have a church home I would like to personally invite you to come out and be a part of an awesome family known as Christ Central Alachua. 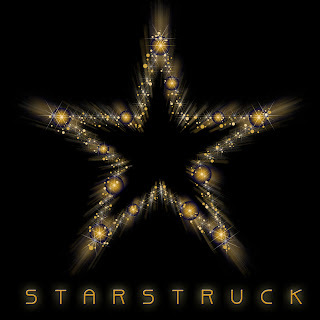 Today was the first Sunday of our month long series called StarStruck. MANY hours of hard work have gone into making this the most exciting, inspirational, and life changing season in the history of CCA. So if you are looking for a place to call home this Holiday Season, look no further. There is no place like home... and there's no place like CCA for the Holidays!! p.s. Today's message is already up on iTunes. To find us just type Christ Central Alachua in your search window and click on the sermon We Shine. I promise it is well worth the listen... and it's FREE!! There are only two months left in 2010 which means the Holidaze, I mean, Holidays are here. Today I chatted with Caley about Crave's Thanksgiving meal. Emailed Kim, our Ladies Ministries leader, about our P31 shopping trip this Saturday. And discussed with my mom what Christmas gifts my kids may want. I am well aware how fast these next 61 days will go by. Way too fast for me. In our chronological reading we have come to the arrest of Jesus. I know He was well aware of how fast his 3 year ministry would go by. What did that kind of knowledge do to Him? I'm sure it caused Him to wake up each day with a sense of extreme urgency and purpose. And now His whole purpose for coming is about to be fulfilled. In December we will celebrate His birth, but this week we will read about His death. He truly is the reason for the season but WE are the reason He came in the first place. So let's purpose in these next 8 weeks to do the same. What better way to close out 2010 and welcome 2011 then by making a difference in the lives of others? Let's not allow Christ's story to just move us to tears, let's be moved to action. Again, CCA you can give me $10 by the 14th and I will get your book ordered.